By Inte Gloerich, October 30, 2018 at 9:58 am . I went to Radical Networks in Berlin (19-21 October 2018). It was a very inspiring experience and I took notes feverishly for 3 days. The program was diverse and inclusive, in-depth but accessible to non-techies. I worked out the notes of the talks that I found especially interesting a bit further and added references below. For example: The Miracle of Worgl. 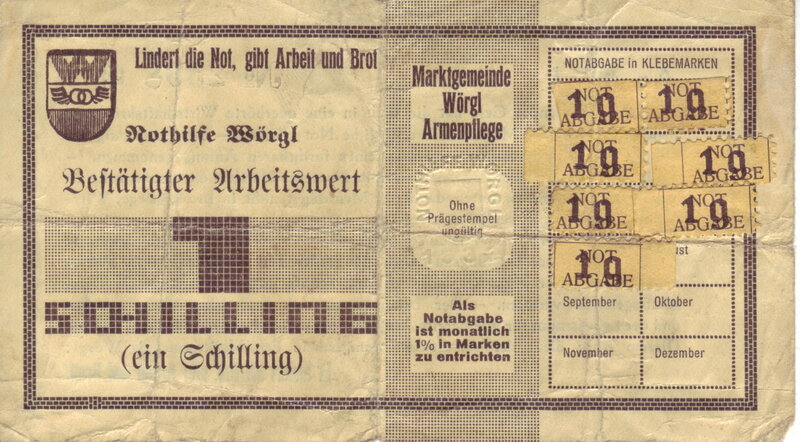 During the Great Depression in the 30s, the town of Worgl in Austria introduced banknotes that had to get an official stamp every month denoting that the owner payed their taxes for owning the banknote. In effect, this meant that banknotes would decrease in value the longer you store them, dis-incentivizing what is known in the cryptocurrency world as hodling. What if care work were valued? For example: Fureai Kippu, Japanese systems for making care work transferable and storable. These systems rewards care for the elderly with a complementary currency. You might exchange this currency to pay for care of your own parents (for example if you live in a different city than they do), or story the currency to pay for your own care needs later on in life. What if sustainability were rewarded? For example: Regen Network, which is a blockchain-based system that aims to “create a systemic multi-stakeholder, market-driven solution to facilitate verifiable ecological outcomes.” (Regen Network whitepaper) Although this example doesn’t break with basic market logics and profit drive, it does try to establish a more holistic understanding of industry and value, tying varified ecological impact to end products. What if currency was an oral history? 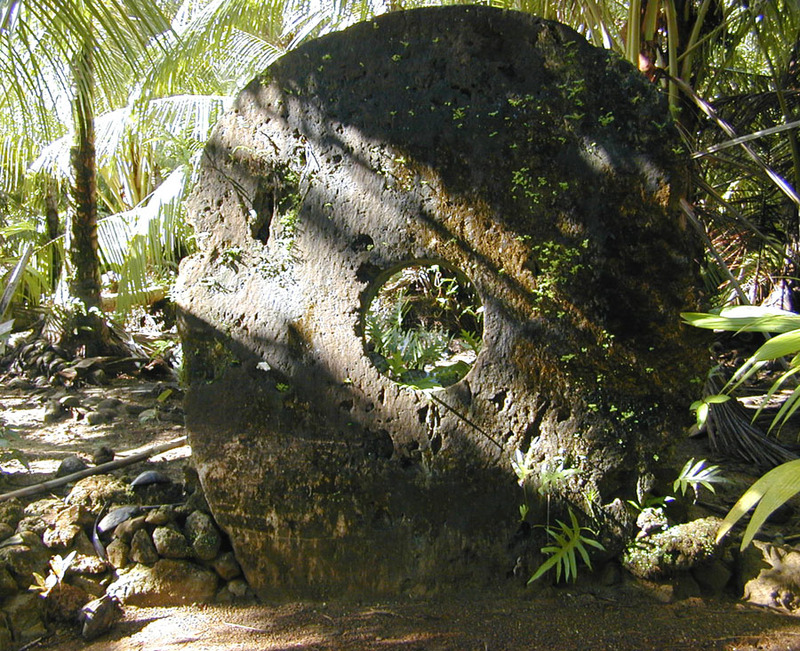 For example: Rai stones, a currency system on the Micronesian island of Yap that had its hayday between 1000 and 1400 AD. Giant stones were used to represent value, and ownership needed to be recorded in oral history, meaning that stealing the physical stone didn’t mean stealing its value, it would still be known who the owner was. This went so far that stones lost in the ocean could still be used, because their stories would not be lost. In fact, stones that were hard to make, or had a lot of history to them were worth more. What if currency were equally distributed? For example: Circles, a project that Saraswathi and Sarah are involved in through their work at ConsenSys. It is a blockchain-based system that distributes a basic income and incentivizes cooperation and spending within the network in order to make a global and equally distributed economic system. After these examples, we split up into groups to discuss our own imaginary future societies and their currencies (my group imagined a network of alien squids that used information about food and danger as a currency 🐙💾). webs of trust as central features, where the system as a whole might be scaled, but the trust circle remains human-sized. it might be difficult to interface between the different system (one group actually imagined ‘harvesting’ (i.e. killing) our group’s squids, because the squids had needs that didn’t fit in their system). Talking to one of the groups afterwards, I learned that they had defined their core values before doing anything else, which led to a well thought-out system. Clusterduck is an interdisciplinary filmmaking, design, research collective that investigates internet content, its creators and the platforms its spread on. This year the idea that the alt right got connected through the means of memes gained traction. Soon after, responses to this idea critiqued the way it took responsibility away from the left. Clusterduck wants to investigate what the actual influence of the memes is, and advocate for new methods to do this research. A lot of the data that alt-right memes research is based on, comes from Reddit and Twitter, because their APIs allow for the most thorough extraction. Only a subsection of alt-right people are based on these platforms though, and it is important to look at places like Facebook and YouTube as well. Although Facebook gave scholars access to petabytes of data on misinformation after the Cambridge Analytica scandal, this data is only accessible to institutionalized academics. Experimental forms of research like Clusterduck is doing are excluded from investigating it. This limits the types of knowledge that can be created. In their research, Clusterduck adds several databases together (e.g. 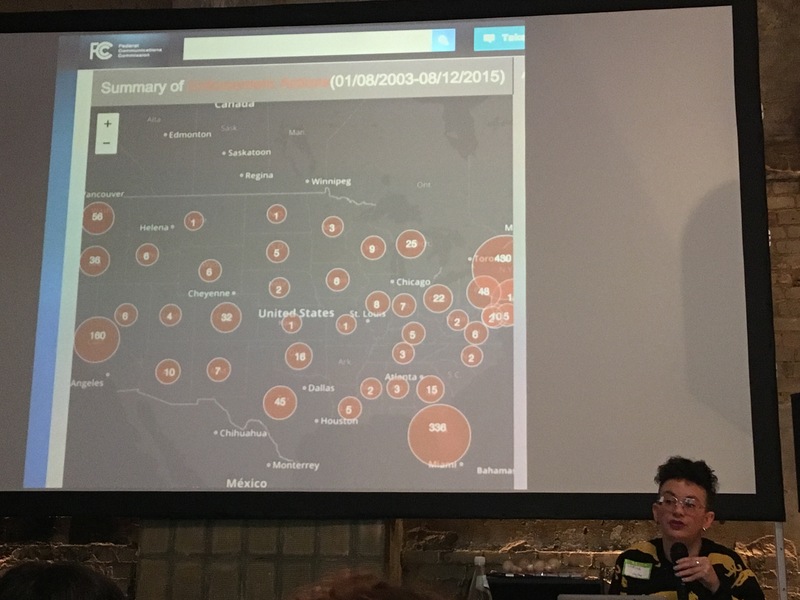 data from Know Your Meme, 4chan, Twitter, Reddit, and Gab, the ‘alt-rights answer to being censored on Twitter’) to create a wider body of resources. Their algorithm clusters the images and annotates them with information about where they first appeared for instance to allow for further analysis. While it is interesting to research these memes, they are floating signifiers: they constantly change in meaning and connotation. Memes are appropriated by the left and the right, and defy definite meaning, so classifying them as for example hatespeech is very difficult to do. In her talk, Sarah Friend (of ConsenSys) problematized the decentralization movement. Decentralization has become a hyped word, used without actually thinking about what it means and which phenomena might benefit from not being decentralized. The ‘de’ in decentralization suggests that it is everything/anything that is ‘other than’ centralized, but this obscures the fact that it is actually not such a binary space. Decentralization is often defined politically (local governments) or organizationally (large organizations that decentralize), but it also holds within it a certain free-market rationale (away from centralized regulation). While the web is often perceived as having started as a very decentralized system that has been centralized during the past decade through platformization, the original Arpanet was actually quite centralized: accessible only via universities and some large corporations. there is no 1 canonical decentralization, so which one(s) do we want, and for what purpose? Tony Sheng has argued that there are so many different uses of the word ‘decentralized’ that it’s better to ditch the term altogether. what to do with the free market rationale in decentralized systems? E.g. forking is a kind of free market element: if you don’t like it, just move elsewhere. there are competing motivations for decentralization, and it is important to look at the specifics. An area that is often left out of decentralization discussions is hardware manufacturing. These processes are in fact highly centralized, and vulnerable to political shifts and natural disasters. There are some examples of decentralized hardware (e.g. Librerouter and Makerbot) but they lack the precision that’s needed to build computers. While open source is often used as a way to signal decentralized software buidling, but there are actually only a few contributors (e.g. 52% of Github commits are made by 1% of contributors and similar statistics exist on other platforms). Not everyone has the time or the skills to contribute, and it’s worth contemplating whether it would be beneficial to society if many more people did spend time building software. At what cost to other specializations would this come? Sarah ends her talk raising questions about what is enough decentralization, what kind of decentralization is needed, and who it is serving. Artist Taller de Casqueria talks about his project Black Islands, that investigates the land disputes over islands in the South China Sea in which digital means are used to prove ownership. There are international standards for determining which country owns which parts of the sea, based on how many miles away it is from a coast. Being surrounded by Vietnam, China, the Philippines and other countries, and being rich in natural resources, islands in the South China Sea are especially valuable. If a country can claim ownership over it, that means their ownership over the surrounding waters can also be claimed. Traditionally, to claim ownership a country would need to physically occupy the island, but the ‘war’ can now also be waged through digital means: writing and rewriting Wikipedia articles, tagging images to a specific location on Google Earth. This is particularly present in some of the errors that exist on Google Earth, represented by black spots over islands on the map. The representation of a certain ownership of a locality around the internet becomes a method to colonize them as actual territory. Larisa Mann researches the use of pirate radio (broadcasting without a license) by minority communities in the UK and USA. In England, poor people historically live in high-rises at the edges of cities. This is especially practical in pirate broadcasting, because listeners will be geographically concentrated and the radio waves will be less obstructed by trees and other buildings. Larissa is interested in the economic systems that exist through these pirate stations, the identities that are constructed, and the way people interact and claim space. She sees that often stations come into being around specific diasporic communities, like Haitian-Americans or British-Caribean people. Even though web radio and podcasts made the phenomenon of a limited radio spectrum a thing of the past, pirate radio is still a flourishing scene. This may be due to the central cultural significance of the radio (in relation to low literacy rates) in some of the countries of origin of these diaspora (Larissa gives the example of Haiti). Photo taken at Radical Networks. The map of FCC piracy actually shows only ‘conflict’ (people calling in to report piracy), actually existing piracy is even more widespread. using mobile minutes to call into radio stations (not to talk, but just to listen). This was for instance done a lot in the aftermath of the earthquacke in Haiti to get access to important information. Cambodian people have a system where they conference call with 1000 people and use the call as a way to broadcast a pirate radio station. Networks are generally visualized as a collection nodes interconnected by edges. Max reimagines networks through a more Deleuzian lens, and asks us to let other senses than the visual guide the representation of the network. In the description of the talk they write: “What would a social network look like if it were modeled after the fluid dynamics of water?” and “Following network theorist Tiziana Terranova, we suggest that contemporary internet network models derived from graph theory and based on the diagrammatic “node” and “edge” deploy economic reductions of society that re-inscribe capitalist logic.” How can we make a model of a network without conforming to this logic? What can we learn from the tactics of culture jamming, from moments of radical connection and from the existence of noise? Not necessarily represented in these notes, but a recurring topic was the importance of thinking about the natural resources needed to make these systems work (e.g. the Low Tech Magazine mentioned below). It is necessary to consciously break out of current parameters in order to come up with radically new systems. Decentralization is not an end in itself, it needs to be questioned and used to serve a specific purpose. Local networks are important to support specific needs of local communities. Who are these networks build by and for? Who is included? Who needs to be heard to make more inclusive networks? Don’t forget what we know from older media (radio waves were central, but also things like PiratePad, on the ground activism and community building) and be aware of the large geopolitical employment of digital tactics. Low-tech Magazine: building a low-tech website that is so small it can be solar powered and raises awareness about the use of energy while browsing. ISEMS: independent solar energy mesh systems. Pocket FM: connecting internet and radio, to use in hard to reach areas. Rootio: community radio as a means in crisis response. Tactical Archives: making the counter-cultural history of the internet in Brazil accessible. 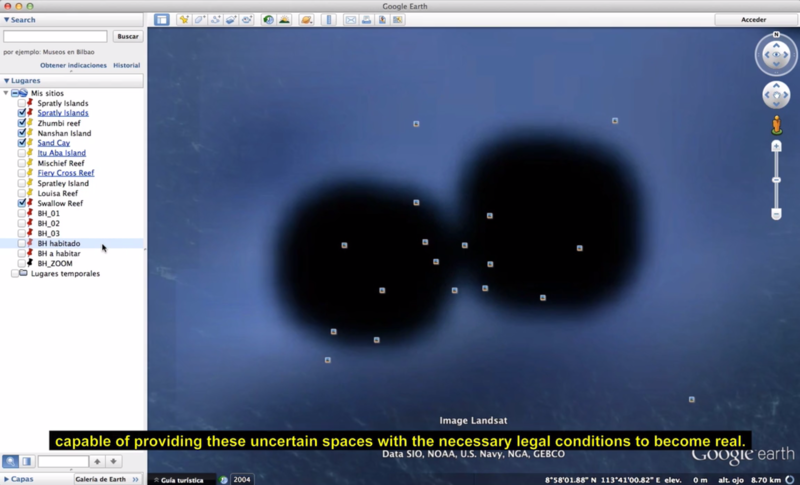 Floating Swarm: art in the interstices of networks, to be viewed using Beaker Browser. Design and development by Roberto Picerno & Silvio Lorusso.